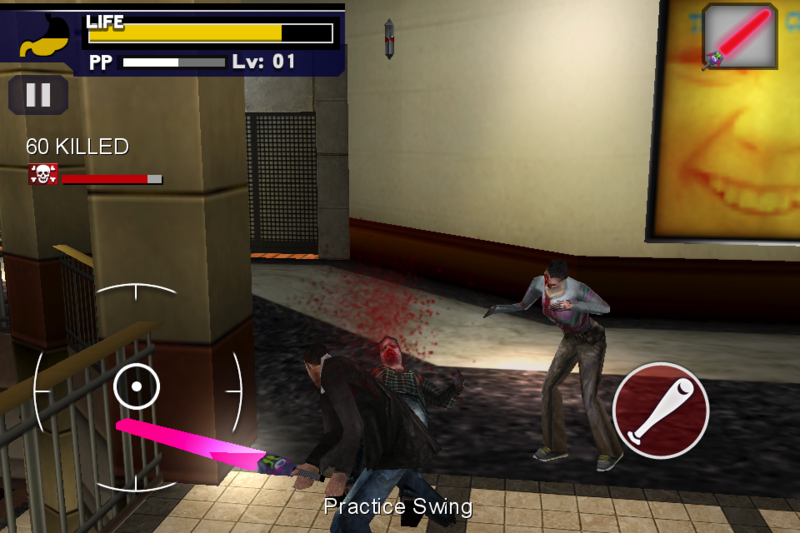 Today we got a chance to try Capcom’s upcoming Dead Rising Mobile which is due for release next Thursday. I’m going to reserve most of my comments for our full review which will accompany the official release, but they’ve given us clearance to do a brief preview piece since we’re so excited about the game. Let’s start with a little backstory since quite a few of our readers aren’t console gamers: Dead Rising for the Xbox 360 in late 2006 (which also recently saw a sequel released). 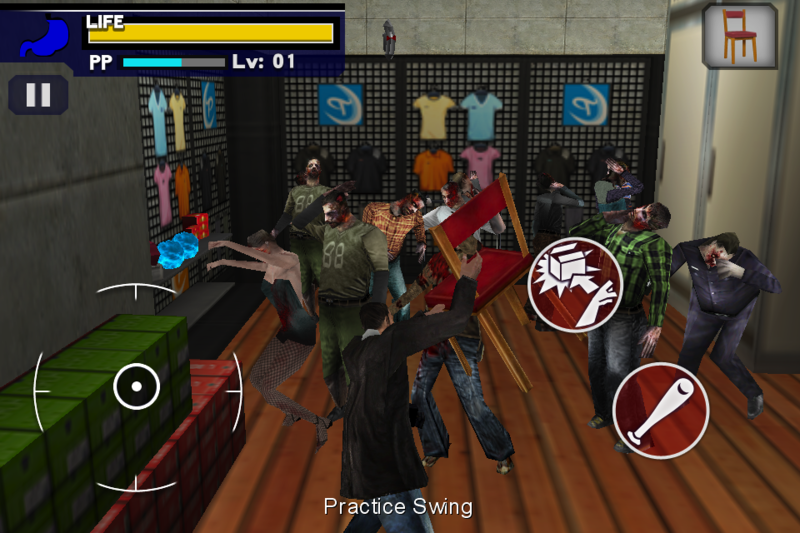 It’s a sandbox style game set in a shopping mall which is currently the site of an all-out zombie Apocalypse. 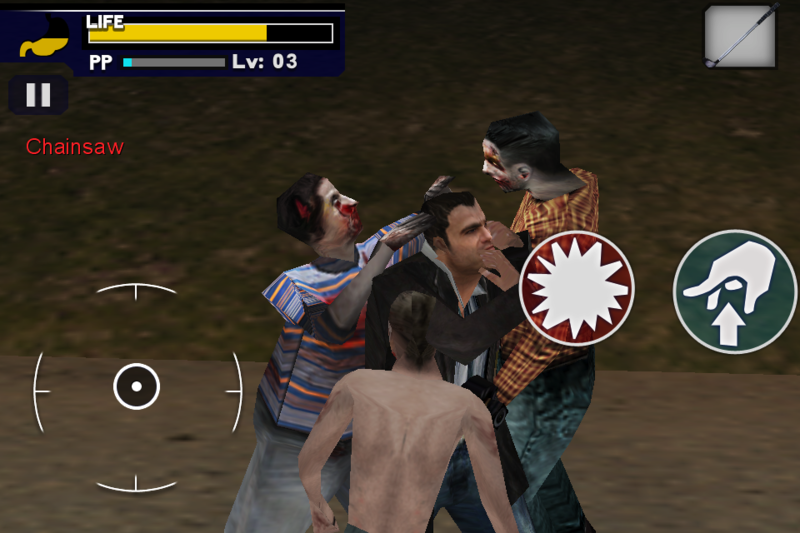 The game had a terrible save system, poor controls, horrible AI, and was generally a little buggy. However, none of this stopped the game from being something that was impossible to put down. Dead Rising was incredibly entertaining, because you could do the missions however you wanted, or just disregard them entirely. 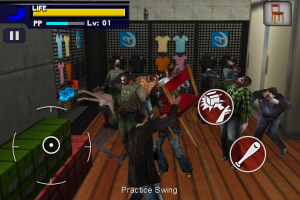 The name of the game in Dead Rising was improvised weaponry, and almost anything could be picked up and swung around at zombies. If you wanted, you could exclusively use guns, or dabble in the various melee weapons, or ignore conventional weapons and use only chairs and trash cans to make your way through the game. 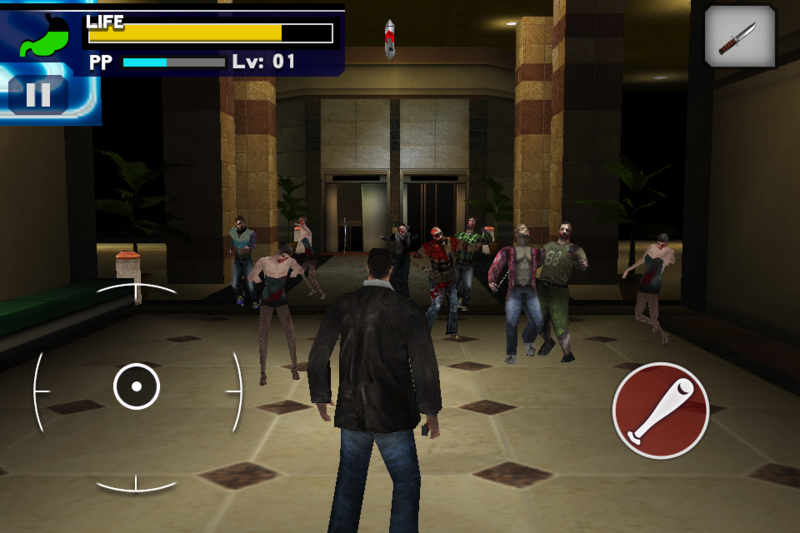 Dead Rising Mobile comes packed with all the things that were bad about the original Dead Rising, with some issues that have even been magnified on the device. For instance, the already poor controls are even worse on the touch screen, and the general buggy nature of the Xbox 360 game persists with weird graphical glitches, clipping issues, and crazy camera angles. 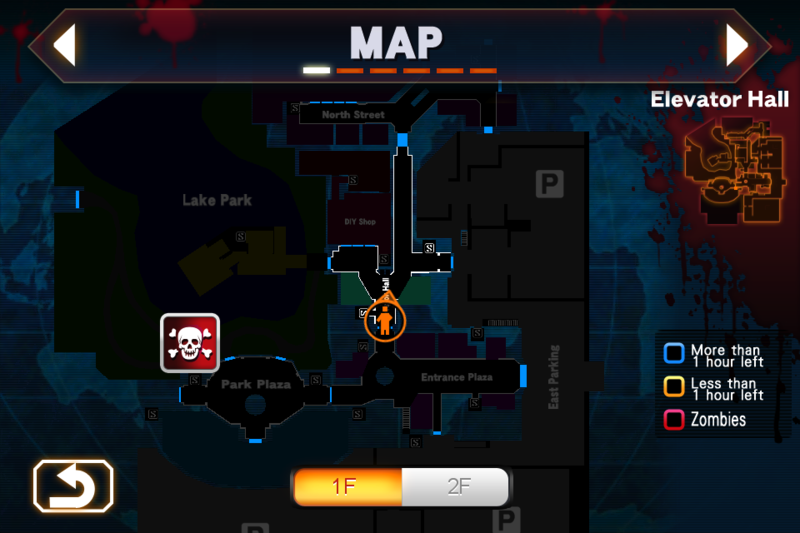 The objective system isn’t very clear, the framerate is low (even on my iPhone 4) and it seems to take forever to load between areas. The great thing is, none of this seems to matter because the Dead Rising formula is just so much fun. The appeal is hard to explain unless you’ve actually played it (which makes me hope Capcom eventually releases a lite version), but they’ve somehow managed to turn this expansive sandbox console game in to a mobile game that comes with enough elements from the original that it doesn’t feel like a watered down port at all. The mall that makes up the game world is extensive, and after completing a few missions you begin to remember where the locations of your favorite weapons are, just like the original. 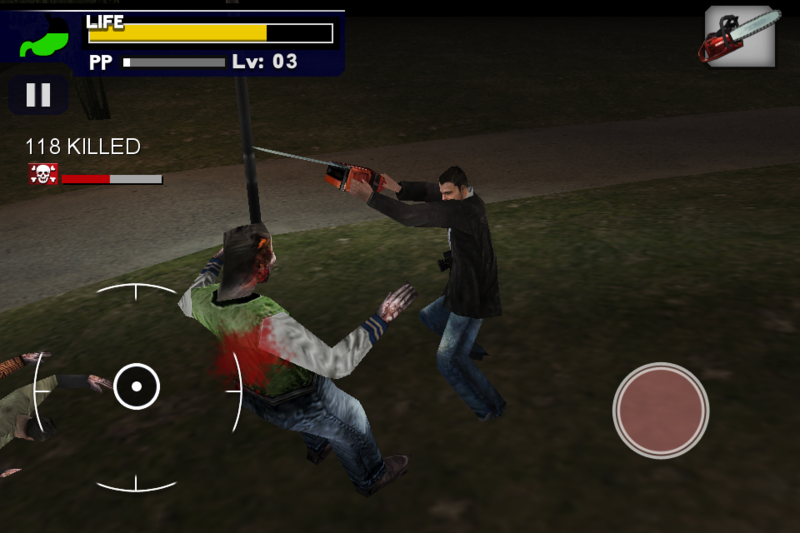 There’s something incredibly satisfying about slaying entire swaths of zombies with a chair, running over mad zombies (beastly zombies that are stronger) with a lawn mower, and decapitating entire groups of zombies with an excellent chainsaw-driven spin attack… And just like the console version, you can either choose to follow the various missions, or just explore the mall on your own– Although, missions seem to award tons of experience, making leveling up difficult if you choose to disregard them. We’re going to be playing through the game more over the next week to provide a more in-depth look when it is finally released on Thursday, but so far we’re impressed. Much like the original, if you can overlook the general buggy nature of the game and can deal with some lackluster controls, you’re really going to be in for a treat of all out zombie mayhem.